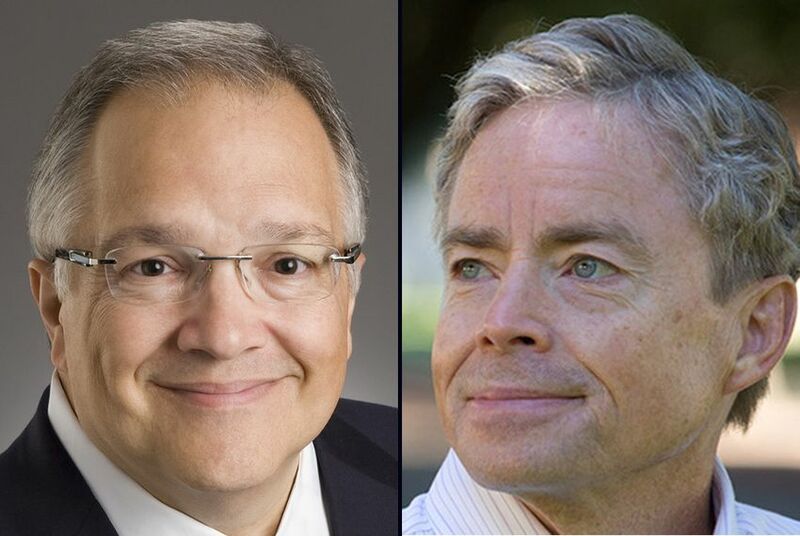 In a race that wasn't decided until early Wednesday morning, state Sen. John Carona, R-Dallas, lost to Republican primary challenger Donald Huffines. Other fiercely competitive Senate races went down to the wire. Editor's note: This story has been updated to include the final result of the race between Sen. John Carona and Donald Huffines. Fiercely competitive races in the Texas Senate came down to the wire on Tuesday night, with one veteran legislator losing a tight race and another facing a runoff. And with three open seats, the state's upper chamber is sure to see a number of fresh faces in the 2015 legislative session. In a race that wasn't decided until early Wednesday morning, Sen. John Carona, R-Dallas, lost by 635 votes to Don Huffines, a Tea Party insurgent and multimillionaire businessman. During the campaign, Huffines unleashed a torrent of negative ads accusing Carona, who was first elected to the Senate in 1990, of using his position to further the business interests of his company Associa, the largest homeowners association management business in the country, and crossing partisan lines to maintain cordial relationships with Democrats. Longtime Sen. Bob Deuell, R-Greenville, was forced into a runoff in SD-2, where he's being challenged by Bob Hall, a Tea Party activist. The conservative group Texas Right to Life has targeted Deuell, a physician, for his stance on end-of-life legislation. “These are strange times in Texas politics, but I think we’re fine," Deuell said. "... There’s a lot of people angry at Washington and I think they took it out on state elected officials." Key incumbents held onto their seats. In SD-31, despite a close race, Sen. Kel Seliger, R-Amarillo, edged ahead of his opponent, former Midland Mayor Mike Canon. And Sen. Donna Campbell, R-New Braunfels, held onto her seat despite heavy campaign criticism from her opponents, Elisa Chan, a former San Antonio city councilwoman, and Mike Novak, a former Bexar County commissioner. "We ran a strong campaign with a strong conservative message," Campbell said in a statement. "We focused on the issues important to Texas families, and tonight's victory is an affirmation of the success I had fighting for our conservative values in the Legislature." The Texas Senate staggers which districts have elections, which means only 15 of 31 Senate seats are up for grabs in the 2014 election cycle. In addition, a special election in SD-4 will be held in May to replace Tommy Williams, R-The Woodlands, who resigned in October to serve as the vice chancellor of federal and state relations for the Texas A&M University System. Five Republicans and three Democrats vied for SD-10, the closely watched district being vacated by Sen. Wendy Davis, the Democratic gubernatorial candidate. Tea Party activist Konni Burton will face former state Rep. Mark Shelton, R-Fort Worth, who lost to Davis in 2012, in the May runoff election. One of them will be up against Democrat Libby Willis, a Fort Worth community leader, in the November general election. The outcome of that race could have a significant effect on the 2015 legislative session: If a Republican takes control of that seat and the other districts don’t have a partisan shift, Republicans would be within one seat of the two-thirds majority needed to bring legislation to the floor for a vote. In SD-8, state Rep. Van Taylor, R-Plano, will likely fill the shoes of Sen. Ken Paxton, R-McKinney, who is headed to a runoff election for attorney general. Taylor faced no challengers in the Republican primary and has a Libertarian opponent in the general election. And in SD-7, Paul Bettencourt is the Republican who will get the chance to replace Dan Patrick, R-Houston, who is headed for a runoff against incumbent David Dewhurst in the race for lieutenant governor. Bettencourt spent 10 years as the elected tax assessor-collector in Harris County, and won the Republican primary. He’ll face Democrat Jim Davis and Libertarian Whitney Bilyeu in the general election. Editor's note: An earlier version of this story misspelled the name of a candidate in SD-31. He is Mike Canon, not Cannon.